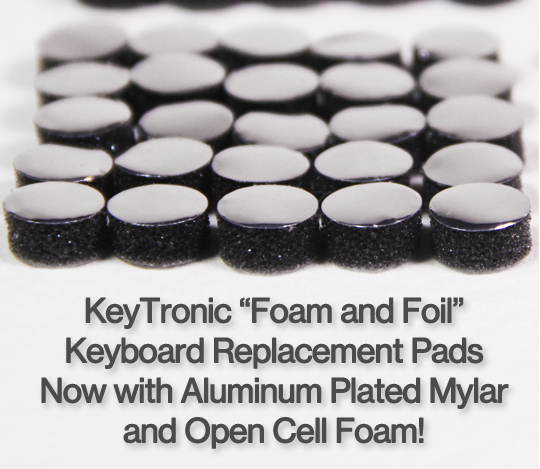 We’re happy to introduce another prototyping board to our catalog. 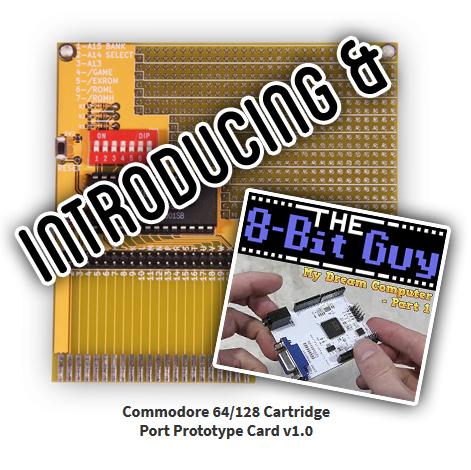 Take a look at the Commodore 64/128 Cartridge Port Prototype Card v1.0 for more details. 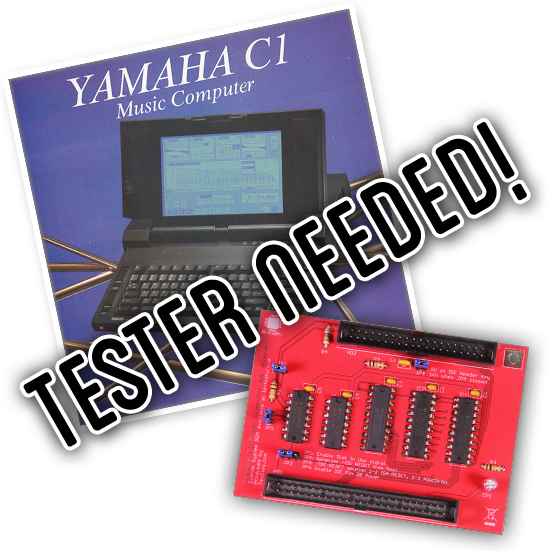 You may find it handy for your next Commodore project! 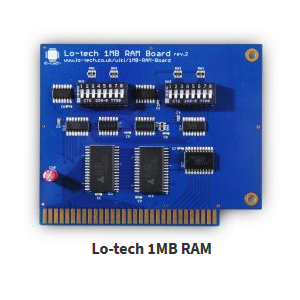 We have ordered a small run of PCBs for the Video Development Board for the Commander 16 Prototype so we will have them available soon. 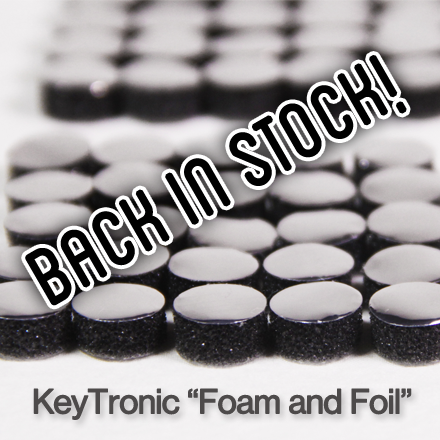 Stay tuned, we have more headed your way! Resound OPL3 Blogged on Tindie! 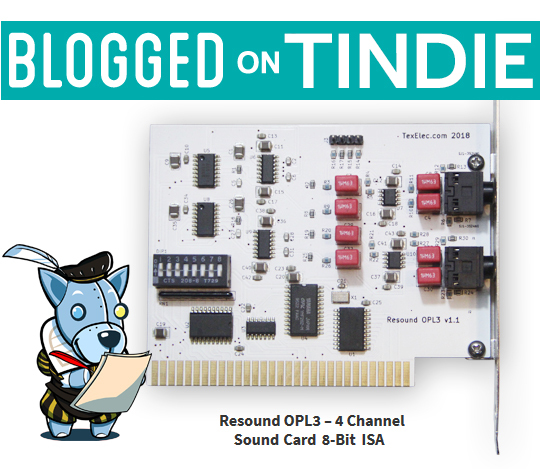 Chris D. wrote a great article about our Resound OPL3 sound card on the Tindie blog! We are so flattered, take a look! Retropalooza VI Photos Plus a Coupon for You! As promised I’m finally getting around to sharing photos from our fun weekend at Retropalooza VI. All of us had so much fun! There were panels for Kevin and I as well as Lily and Ed. YouTube personalities for all, it was great! The people, whether the average Joe or YouTube personality, were all so nice. We are very lucky to be part of such a wonderful community of people! The first thing we did was stop by this booth where Ed got to play a fun game, for just a little bit. It’s called Hellworld by Skullpixl Games, Ed enjoyed this game and is looking forward to it’s release. As we left that table we immediately saw James Rolfe aka the Angry Video Game Nerd and creator of Cinemasscre signing autographs and taking photos with his fans, so we took this quick photo from afar. We didn’t wait in line for an autograph, this time, but we did attend part of his panel. It was so packed that they had to move it to the main room last minute. Because of this we weren’t able to hear him all that well. Since we didn’t want to miss other panels, and couldn’t hear him well anyway, we ended up leaving early and giving some other people our seats. Kevin and I both have been fans of his for many years, possibly before Ed was even born. He is a pioneer and a legend in the game and movie review world and has a reputation of being a super nice guy. I definitely believe that to be true! I have a feeling we’ll have another chance to see him again next year, I hope! Here is the short snippet we got during our short stay during his panel. We also attended The 8-Bit Guy panel and talked to him quite a bit on Saturday and Sunday. Kevin and David are working together on a few things now. You may have already seen a couple of our products in a video or two of his on YouTube, as well as a little mention on a certain video.  I’ll be sharing more about those in another post. Chadtronic was Ed’s favorite guy on Saturday! We left Ed and Lily to attend his panel while we saw Pat the NES Punk, but joined them later. Chadtronic was very upbeat and funny! Here’s Pat the NES Punk. We shot this during his panel where he showed a preview of his upcoming documentary he plans to release. It looks very interesting, looking forward to watching that soon. This is Lily with Gaijin Goombah, she watches his channel often and wanted a quick photo. Lily was pretty popular at Retropalooza herself because of her costume. Lots of people stopped to get a photo with her and she got lots of looks from everyone. It was a really fun part of our Saturday visit there. She decided to dress in her ‘civilian’ clothes on Sunday. I hope to see lots of photos floating around of her online. Let us know if you see some! This was taken on Sunday after Gaijin’s panel. Kevin and I didn’t attend as we decided to got to the Game Chasers panel while Lily and Ed attended Gaijin Goombah. We did like the Game Chasers panel but apparently we missed quite a bit here. Apparently Ed had a question during the Q&A portion where he proceeded to get “grounded” by Gailjin for asking if he copied MatPat aka The Game Theorist. Note, don’t ask a YouTuber if they are copying another channel!  It was all in good fun and Ed even received a free memento for his great question! He was so nice and signed his old plushie for Ed. This was, by far, Ed’s favorite part of the entire weekend! I’m hoping to find video of this panel so I can see it for myself. Again, if you see this around, I’d love a heads up. Finally, here are a couple more photos we took with other people attending Retropalooza. We did attend more panels and saw a lot more. There were sellers of all kinds, gaming competitions and a cosplay contest. The kids both purchased some great art, other merch and Ed played lots of games! We all had a great time, we will definitely be back next year and may even have our own booth setup. If you also attended Retropalooza maybe you saw a few of these cards floating around. If not, that’s OK too. 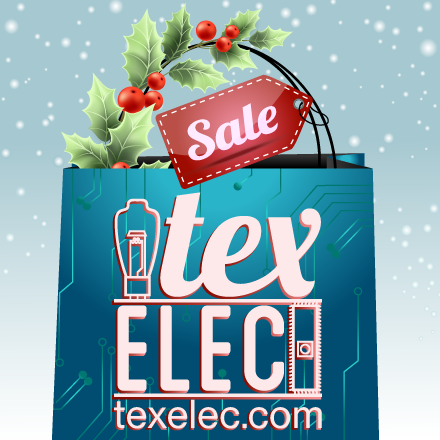 You are welcome to use this coupon code in our store too! It is a one time use for anyone who knows the code. Just apply code RETROP10OFF at checkout here in our store. Thanks for visiting our blog! You can subscribe or follow us on social media for more fun news and product updates so stay tuned! We attended and even had a booth at the very first Retropalooza six years ago! Back then we were selling old carts, consoles and other fun retro goodies. Our kids were much younger then but still had fun helping us work the booth.  We also met one of the Game Chasers and even had him sign an Atari 2600 E.T. cartridge, which we still have. This year we didn’t get a booth, however, we will be attending just for fun and to meet some more people in this great community! 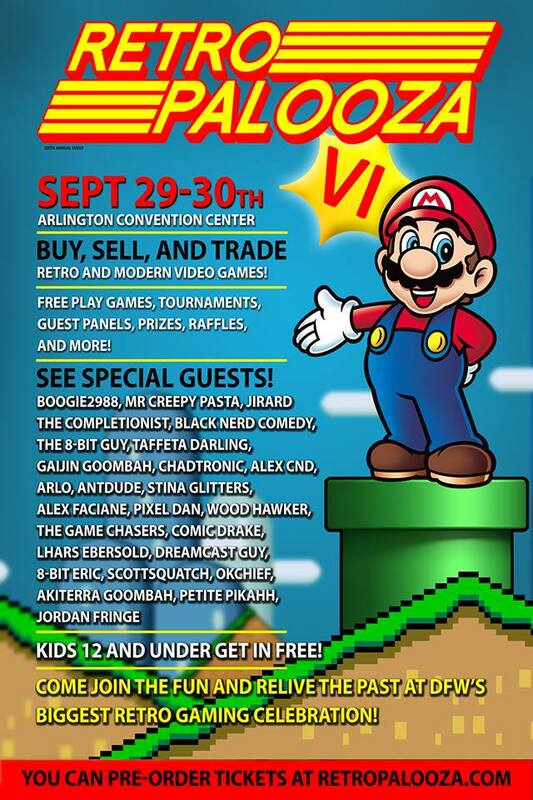 This year Retropalooza VI has a great line up of guests and it looks like it will be a ton of fun for everyone. We are very excited!